The game has 88 missions and 40 achievements. The game is so much fun that you will find challenging in all the nine games. Turtles, Huh? The game has 1 Main game and 9 Mini-games. 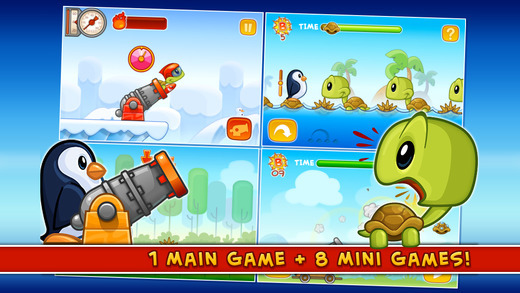 The game has 2 characters: Turtle and Penguin. The game has 88 missions and 40 achievements. The game is so much fun you will find unique challenges in all of the nine games. Mini-games: The games are designed for the mini-game lovers. You will find challenging in the games. Can you get grade “A”s in all the mini-games? Main game: 88 missions are waiting for you to complete! Upgrade your equipment, fly as far as possible, Destroy all the obstacles and get all 7 Turtle Balls. Huh? What are the Turtle Balls? The legend said when someone gets all the 7 balls, he will get the power to conquer the world! Turtles, Huh? is developed by the developer from Turtle Fly. 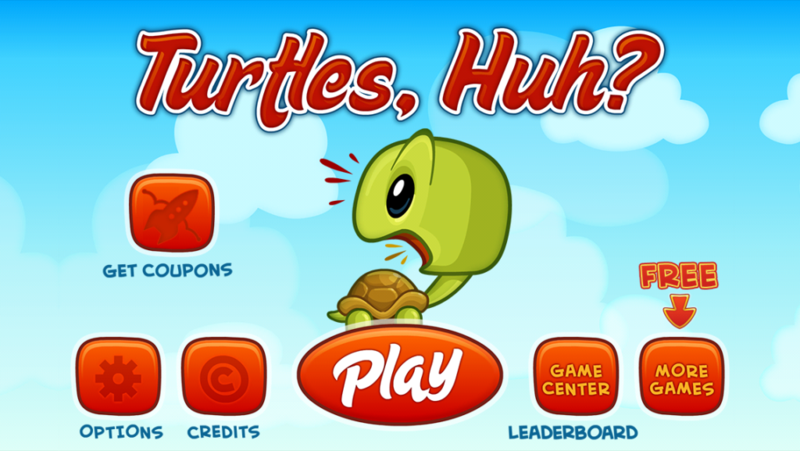 If you like Turtle Fly or you are a mini-game lovers, this game is definitely your choice! COUPONS rewarded to Turtles, Huh fans. Get points in the game to exchange COUPONS!